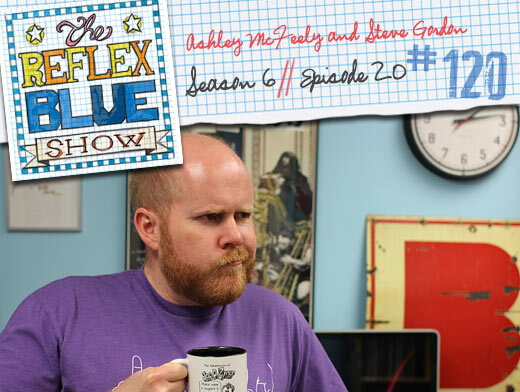 Season 6 of The Reflex Blue Show has been quite the adventure. We started out by sending Ben Lueders to AIGA Minnesota’s Design Camp to capture a few interviews, then having Tom Nemitz help us recap the football game ads, before setting down to record most of the season at the usual location in Omaha – the Eleven19 office. But we did get a few shows recorded on the road – HOW in San Francisco and AIGA‘s conference in Minneapolis. Somehow, we avoided recording any shows via Skype or ichat or phone this year. For the season 6 finale, we bring in Steve Gordon and Cate White to talk about the year, the trends, and what’s next. We also spend some time speaking Command X, of course. Enjoy, we’ll be back in 2014. 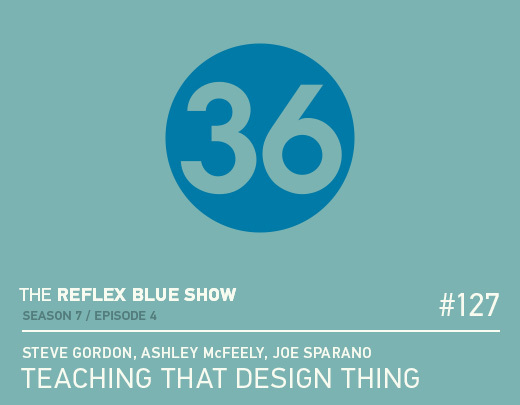 This week, we bring back frequent guests Ashley McFeely and Steve Gordon to talk about what they’ve been up to lately, how to talk about your design work, what skills are best to have now, and more. This was one of those shows we had so much fun recording, that we ended up talking more after the show than during. Enjoy. And next week I’ll be back with recaps from the AIGA conference.